I’ve been watching a lot of Murdoch’s Mysteries. 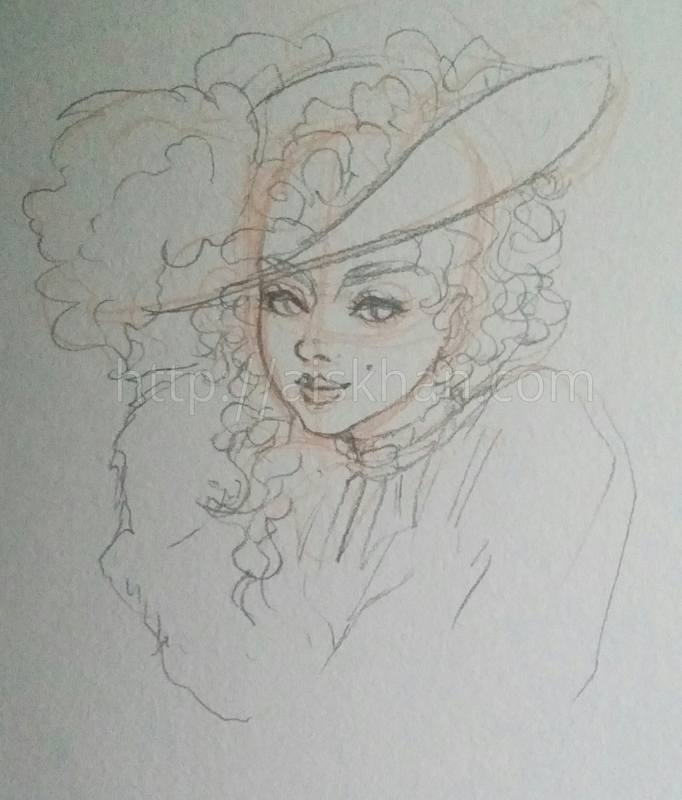 Here’s a Victorian lady with a fancy hat. Orange and 0.5 mm Pencil. Previous Previous post: Trees, Foliage, etc.